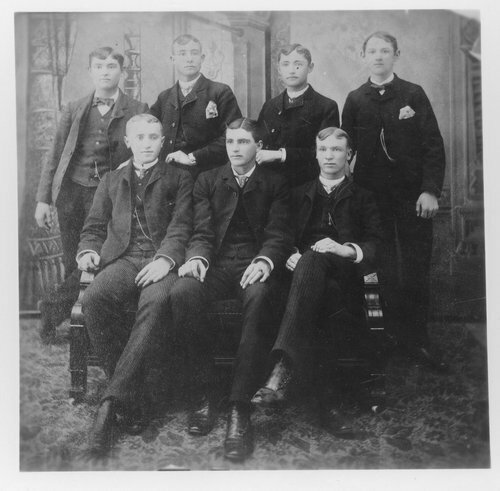 A black and white photograph of a group of young men from Arkansas City, Kansas. The men have been identified in the back row as follows: Endicott, Frank Landis, Kimmell, and Wagner. The front row: George Foner, (? ), and Frank Barnett.